A home theater is a wise (and fun) investment of your entertainment dollars, and the experts at TCW-GAV can bring a well-designed home theater installation into your life with unforgettable picture and sound. The best part is that an impressive home theater doesn’t have to be complicated and doesn’t have to empty your wallet. A well-designed home theater is the key to experiencing the best possible audio and video quality in your home. 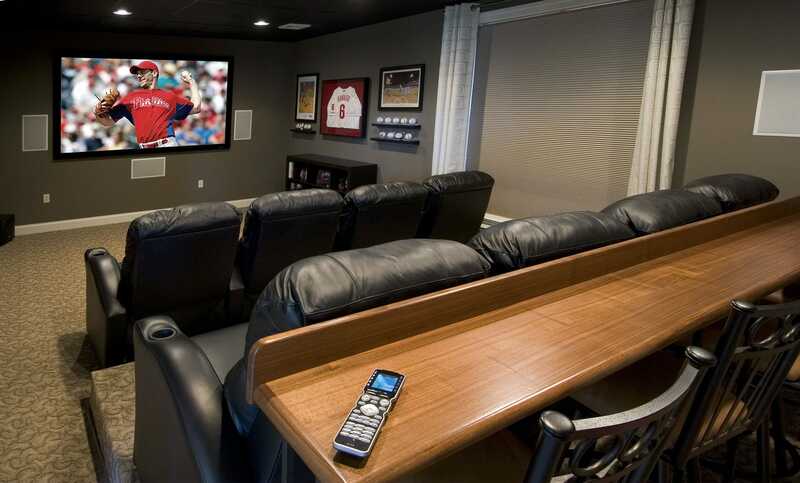 Our team has designed and installed thousands of home theaters throughout Central PA. We’ll help you select the right equipment for your budget and your entertainment space. A high-definition TV (HDTV) might be the best choice for you, or maybe a home theater projector and screen is the better fit for your room size, lighting and viewing content. Making the right selection makes all the difference. Fill your home with music – not bunches of wires. It’s possible with wireless audio speakers and whole house audio systems like the Sonos & Heos wireless multi-room music solutions. Listen to whatever you want, wherever you want. You can even control your system from your iPhone. Your audio video receiver is one of the most important pieces of your home theater system. TCW-GAV sells the best brands around – Marantz, Yamaha and Parasound – just to name a few. We’ll make sure you get the right receiver at the right price. To have an optimized audio or home theater experience, details matter. If you need additional products like digital-to-analog converters (DACs), music/sound amplifiers or a universal remote control, give us a call. And if your current home theater system isn’t performing as it should, we can conduct a system check to optimize and verify its operation – even if you didn’t buy your components from TCW-GAV.